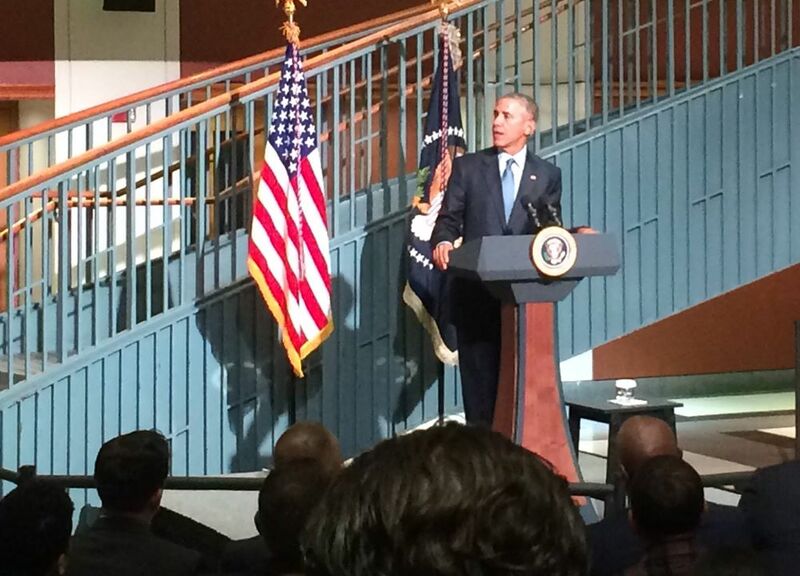 In November 2015, I covered then-President Barack Obama's visit to Newark, New Jersey to discuss prisoner re-entry and criminal justice reform. This brief deadline story focuses on the New Jersey man who got a presidential shout-out during Obama's speech. My crappy iPhone shot from the speech.